Sustainability is the key to securing the planet’s future and that means we must pass on good recycling habits to our children. Where better place to start than in the home or at school? Environmental values don’t have to be a boring sit-down lesson; they are a brilliant opportunity for kids to learn by doing, making, creating and using their brain to learn why waste management is so critical to safeguarding their favourite places in the world. Save our wildlife and natural resources. Rubbish in landfill takes hundreds of years to decay and 75% of it can be recycled. 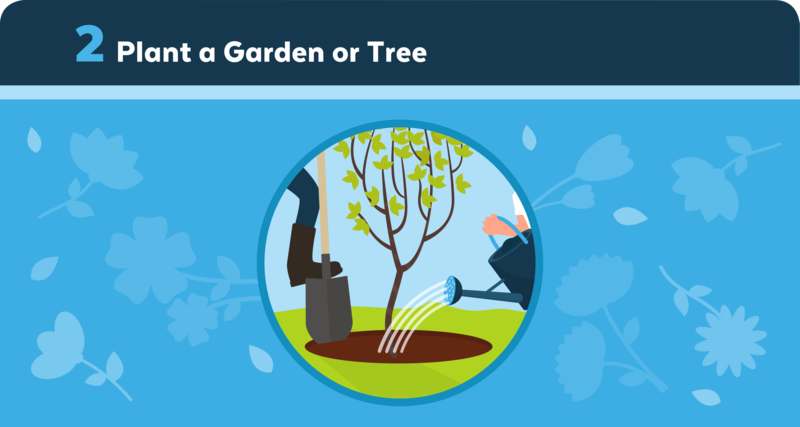 This prevents trees from being chopped down which prevents soil erosion and also uses less water and energy to grow the trees in the first place. More trees means more bugs and mammals in our wildernesses. Saves money. All of that recycled material is worth money to manufacturers! This offsets the costs of collection and processing to make recycling truly sustainable and good for the economy. Reduces pollution. By reusing materials to their maximum potential, you are helping to reduce the need to drill for oil, mine for ore and metals and further deforestation. Reduces landfill waste. Less landfill is good for the environment as it minimises the risks of water pollution and groundwater contamination. Job creation. For every job in landfill processes, there are 10 jobs in recycling centres and 25 jobs in manufacturing based around recycled materials. Printers are everywhere, from big office printers to small home inkjet printers. 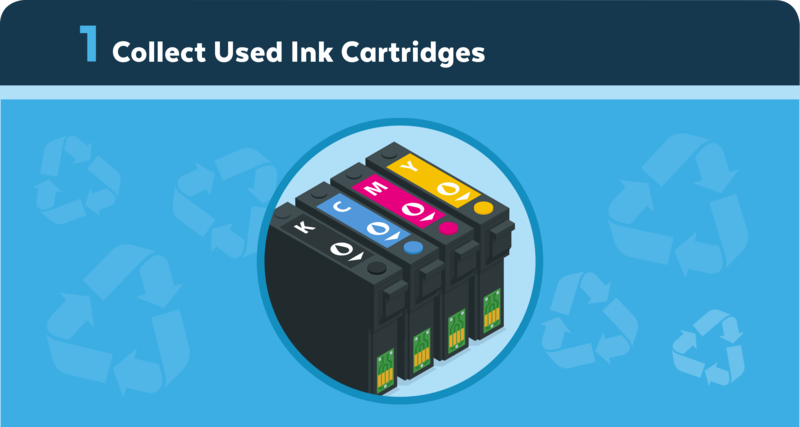 Recycling ink cartridges is therefore one of the simplest ways to start your school out with a recycling project and raise some money for charity. You will need to identify the best recycling company for you, as there are many that offer a cash for cartridges scheme. Then, have the children make an eye-catching collection point and locate it somewhere in the school that is accessible to everyone. Be sure to involve the parents and when you have enough cartridges, send them to the recycler. You’ll then receive the money for the charity donation or be provided with proof that the money has been sent to the nominated charity. Teaching children about the natural world is best done practically. This means getting hands dirty and heading out into any green space that the school may have. If you have a flourishing garden, think about how the children can help maintain and improve it. If you are limited by space, would a tree or two fit? You can introduce the concepts of composting, the role of worms and other insects and even methane production. 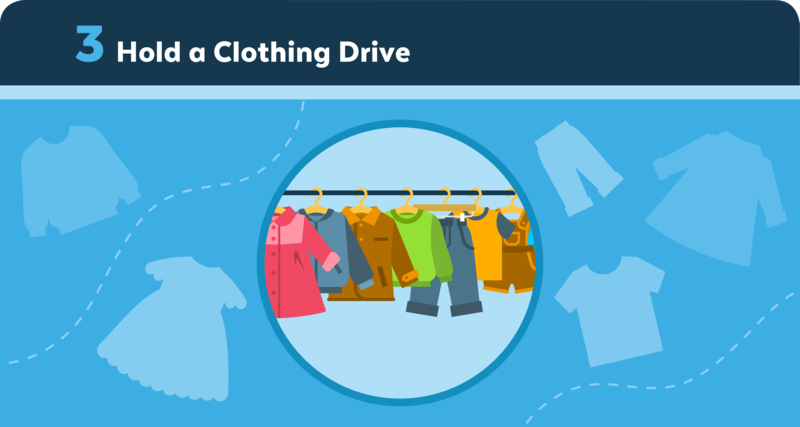 A clothing drive is a brilliant way to show children that we often have too many possessions and that these can be put to good use by someone in need. It’s a form of reusing that is both charitable and encourages a healthy attitude towards material things. Remember, all organisations, whether it’s a donated coat or cash for clothes scheme, want unspoilt clothes in good condition. All of your old media can be processed in some way. This includes CDs and DVDs, which are often collected in return for money, which the school can donate. 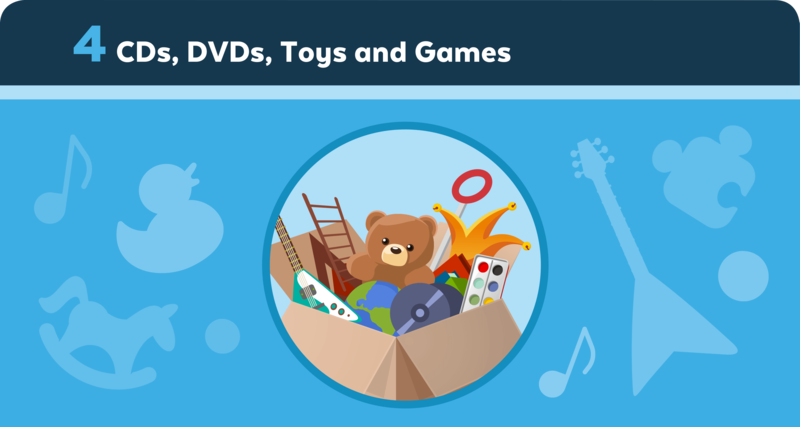 Toys and games in good condition are also great donation items for charity shops. Ask around and you’ll soon discover that many people have a drawer filled with old mobile phones. 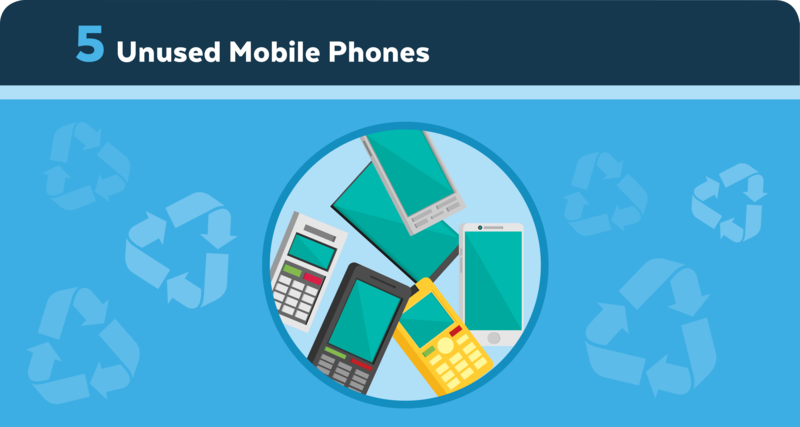 Take advantage of this fact by having a collection of unwanted phones. You can design posters to hand out or put in local phone shops and newsagents - be sure to include details of a drop off point. This will bring in many unwanted devices that can be recycled by a specialist WEEE recycling company. Children will have many books at home that they no longer read. 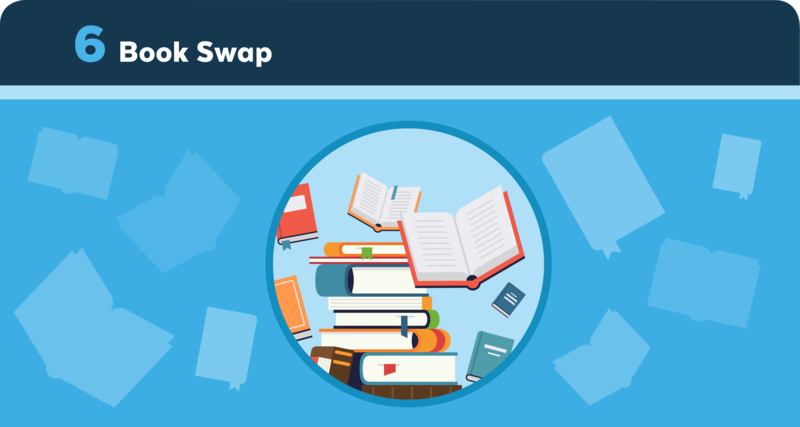 Consider asking them to bring them to a book swap afternoon to see if they can swap books with their friends. This is a brilliant way to start conversations about their favourite literature and teach them about reusing their belongings in a positive way. To add a further dimension to the task, have them create bookmarks with their favourite thing about the book written on it and a star rating. All you need is bin liners and high-vis vests to stage an effective and fun litter pick. 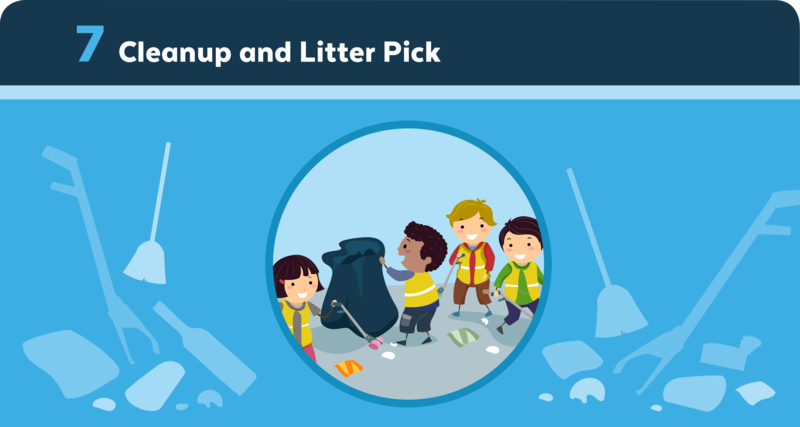 Make sure to make it a challenge by seeing who can pick up the most litter. To promote recycling, have separate bags for recyclable plastics and other waste. You can then dispose of the litter in the most eco-friendly way possible. Having visitors is an exciting thing to happen to anyone and it’s especially engaging when you’re at school. Do you know anyone in the community that is passionate about recycling? 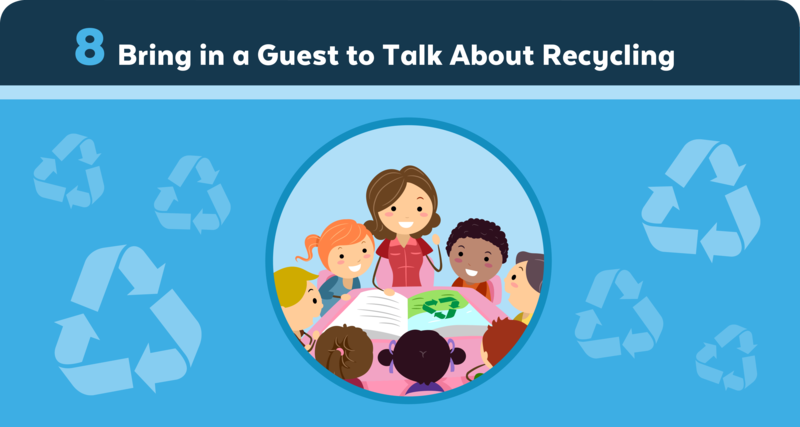 Could you have a local company director visit and explain the recycling process? Or how about a local councillor or your MP? There’s no harm in asking and if a local isn’t available how about a virtual visitor? Video calls are cheap, efficient and offered by many public speakers and academics. If you lined up every plastic bottle used once this year they would circle the world 4 times? The energy you save by recycling a glass bottle can be used to light a light bulb for up to 4 hours. Glass can also be recycled many, many times. One aluminium can will take 500 years to degrade in landfill. All aluminium cans are easily recyclable. Always try to put recyclable cans in recycling bins. Using a recycled aluminium can produces 95% less air and 97% less water pollution than making a new can and recycled white paper reduces air and water pollution by 75% and 35% respectively. It also costs only $30 to recycle 1 tonne of waste. The same amount costs $50 to treat at a landfill site and $75 to burn, which pollutes our air, too! Recycling is the process of taking rubbish and turning it into new products. There are many kinds of recycling, depending on what you want to recycle. The process is different for cardboard, electronics, glass, metals, newspapers and magazines, plastics, textiles and more. Overall, recycling reduces the energy we use to make new products, helps the environment and improves the quality of air and water, and it helps to fight climate change. Reusing a product before throwing it away maximises its energy potential. Before throwing anything away – particularly into landfill – think about what other jobs it could do. You can make it into a flower pot, or a model of a rocket ship, or even a funnel to help dad fill his lawnmower with petrol… just remember to recycle the bottle when you are finished! The same can be said for reusable shopping bags – made of cotton – reusable coffee mugs and straws and many other examples. What could you reuse today? The best way to reduce the number of things we use in a given day is to find reusable alternatives. What does that mean? Well, remember that water bottle? If you buy one really good water bottle that is tougher and more stylish than a plastic bottle, you can use it again and again. Every time you use it, you’re saving another plastic bottle from being thrown away into landfill, which is great for the environment. From 2 litre plastic bottles you can make hanging flower planters, plant pots, wormeries and micro-worlds, bird feeders, models and all sorts! Fundraisers are also a brilliant way to raise cash for schools and help the community recycle. If you can find your local cash for clothes business, you can have children collect old clothes from family and friends and make hundreds in the process. You can even add plants to your recycled plastic bottle planters and sell them at fetes. There are many online businesses that will send money for used goods such as CDs, DVDs and other electronics. Just look them up and arrange the event with parents informed in a advance.